Are you tired of replacing cheap plastic mesh every now and then? That is solely because there are of low quality and durability. They usually last for about two seasons and then need a replacement once every few months to years. So if you think you are saving money by installing cheaper plastic mesh, you may be wrong! The reinvestment of money repetitively accounts higher than an expensive once in two decades investment. Don’t you think? Plus, it costs you time and efforts in getting them replaced all over again. So, rethink before you make a choice this time! While you could save money in the short run, it might cost you greater time, money and effort in the longer run. If you are looking for Gutter Guard Solutions that last longer than just few months, CPR Gutter Protection is your choice. 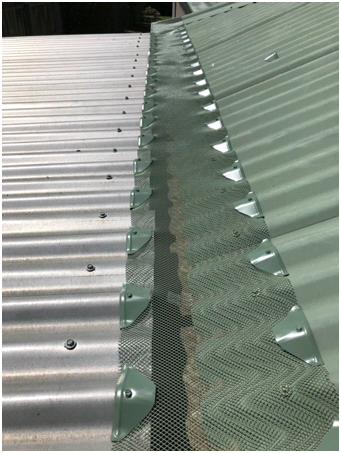 We provide Aluminium Mesh Gutter Guard, Colourbond Gutter Guard with 20-Year Product Warranty for these and all other types of Gutter Guards. Our services cover Traralgon and surrounding suburbs and not just Melbourne. We have been delivering successful projects in Victorian household for the past 20 years. We have successfully installed our gutter guards in Traralgon, Morwell, Yallourn, Churchill and many more surrounding suburbs. So, if your house has blocked and overflowing gutters, or if you are facing trouble with your gutter installations, CPR Gutter Protection experts have a solution to all such problems. All our Sales Consultants & Installation Crews are fully accredited by HIA, Master Builders Australia and Work Safe Victoria. We work together towards providing best possible solutions to our customers, suited to their needs and situation. We specialize in gutter protection and provide products such as Gutter Screens, Gutter Guard Mesh, Fine Mesh Gutter Guard, Metal Gutter Protection, Gutter Helmets, etc. CPR Gutter Protection’s Leaf gutter guard is 99% effective in protecting gutters from leaves and 100% in bird proofing and keeping other vermin out. Request a FREE MEASURE AND QUOTE from CPR Gutter Protection Traralgontoday. Book your Appointment at 0431 239 512 or just give us a Call to discuss any queries related to Gutter Protection at your home.